DES MOINES - The Iowa Cubs will become the Demonios de Des Moines for three games during the 2019 campaign as part of Minor League Baseball's "Copa de la Diversión" or "Fun Cup" initiative created to celebrate local Hispanic and Latino culture and heritage. We look to recapture that excitement and community spirit with the Demonios - a name that is just another "e" and "s" from being a scrambled version of Des Moines. 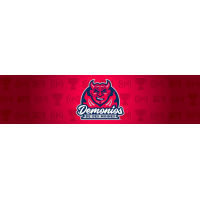 The Demonios logo was designed to be a modern version of an old favorite with a mischievous look that makes you wonder what we know that you don't. "The Demonios de Des Moines branding was crafted to showcase who we are as an organization and our history, while embracing the local Hispanic culture in a new way," said Iowa Cubs President Sam Bernabe. "We want to show the Iowa Cubs' commitment to diversity. We are excited to do that in a fun way that excites our entire fan base." The Iowa Cubs received great support and input from representatives of the Iowa Commission of Latino Affairs to build the foundation of engaging our local community. Ongoing conversations are planned to involve local groups and features for not only the designated "Copa" games, but all Iowa Cubs games. The alternate brand will include new navy and red on-field uniforms to be debuted at Principal Park on Saturday, June 8 with a 7:08 p.m. game against Albuquerque. Additional "Copa" dates include Sunday, July 28 and Sunday, Aug. 25. Each game will tie in elements related to Des Moines' local Latino community, including specialty food items and performers. Iowa is one of 72 organizations to create a new moniker in the "Copa" initiative's third season of activation.